Based in the Pacific Northwest, Filson has made a name for itself as a manufacturer of apparel and gear for the hardest outdoor workers and the most adventurous wilderness explorers. 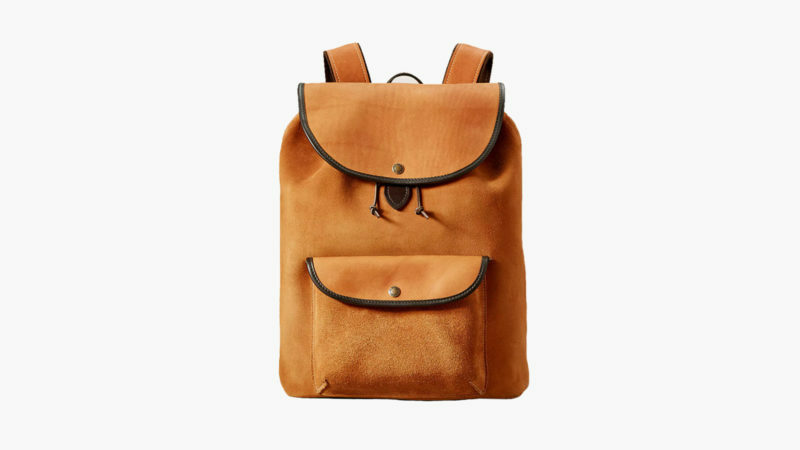 Its newest release, the Rugged Suede Backpack is composed of waterproof rough-out boot leather that can withstand decades of strenuous use. 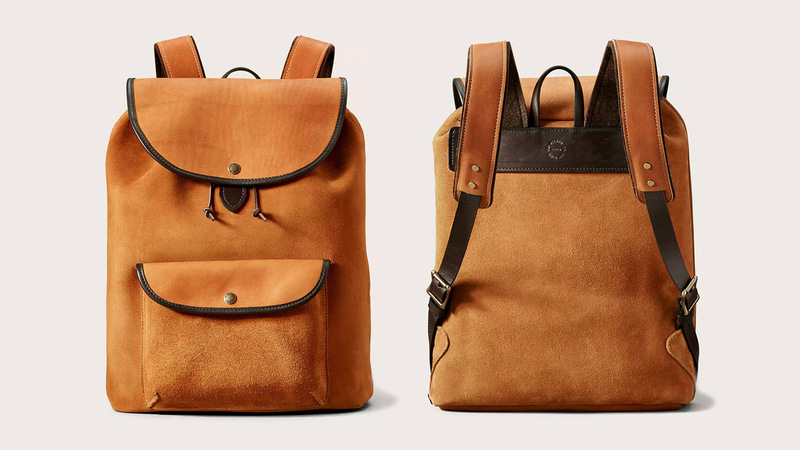 Tanned by the Horween Leather Company, this exceptionally durable suede is made even tougher by thickening in the Chicago cold. 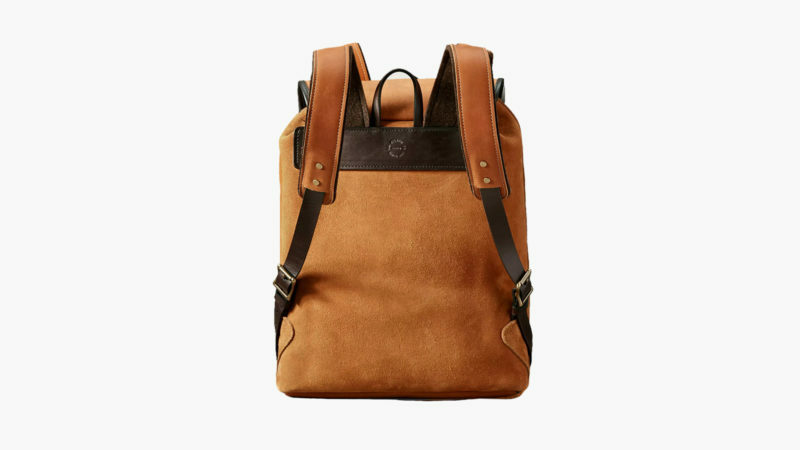 Sized to fit a standard laptop (up to 16 inches) with ease, the Filson Rugged Suede Backpack features felt padded shoulder straps, solid brass branded hardware, and a leather lace drawcord closure with a brass snap storm flap. 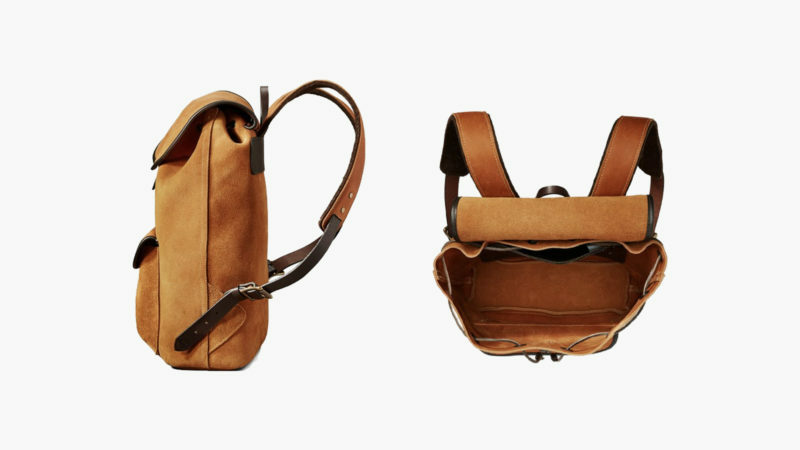 In addition to its sizeable main compartment, it provides ample accommodation with an oversized flap pocket, an interior wool zipper pocket, a wool utility pocket, and a wool slotted pocket.